Herbs for the heart are natural remedies, a gift, from mother nature. Some people even say that nature has a cure for every disease but we just need to find it. Luckily for us, heart disease is one of the most researched diseases of our time. 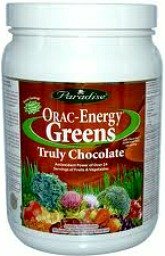 This also includes a wide variety of heart healthy herbs which are rich in various vitamins, minerals, flavonoids, alkaloids and plant sterols. According to traditional chinese medicine, if the the mind is clear, spirit strong and emotions calm, then cardiovascular system will be strong, too. That being said, some herbs for the heart improve circulation, blood lipid levels or they strengthen the heart muscle. However, some of them act through our nervous system and our hormones. By calming the mind and balancing the hormones, they help improve heart function. These are just some of cardiovascular system benefits that these heart herbs provide. However, each herb on the list provides other benefits too, which are also worth mentioning. Hawthorn is one of the best herbs for the heart. It strengthens and protects cardiovascular system, especially the heart muscle, thanks to its rich chemical compounds that heart is so fond of. Garlic health benefits and medicinal properties are well known. It is one of those heart disease herbs which are most useful for lowering triglycerides, total and LDL cholesterol. However, it can also reduce the risk of bacterial heart disease and lower blood pressure since it is natural antibiotic and blood thinner. Motherwort is one of heart herbs which have been used as a cardiac tonic for a long time. It has a relaxing effect on smooth muscles and the nerves. That is why, it is often used to treat anomalies like arrhythmias and heart palpitations, among other conditions. Ginkgo biloba is one of the most amazing herbs for the heart from mother nature's arsenal. It has been used to improve blood circulation, treat arteriosclerosis and lower blood pressure. Caution should be advised while taking ginkgo, especially if combined with other similar blood thinning herbs such as garlic or supplements such as fish oil. Cayenne pepper is a popular spice and one of heart healthy herbs used in many regional styles of cooking. It is also used worldwide, to treat variety of health conditions such as poor circulation, by improving blood flow, cholesterol values and for detoxifying the bloodstream. Butcher’s Broom is primarily used as a vascular strengthener. It repairs the walls of blood vessels and capillaries. Butcher’s Broom is one of rare herbs for heart disease that can be used to raise low blood pressure which can be beneficial to people suffering from hypotension. Adaptogens are herbs for the heart which improve the function of endocrine system and hormonal balance. By doing so, they also improve the work efficiency of the heart muscle and our resistance to stress thereby preventing dangerous fluctuations in our hormonal system and heart beat. Relaxing or anxiety herbs work in similar way as adaptogens but they can't increase our resistance to stress. Nevertheless, their role in easing the tension and lowering stress hormones is still significant since they can lower blood pressure and frequency of heart palpitations. Relaxing heart herbs are similar to beta blockers. 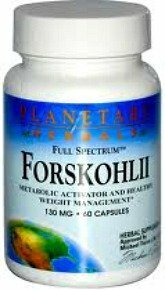 Forskolin is one of the best herbal supplements overall. I experienced some great results, even at lower doses. Although it is primarily used for treating high blood pressure and strengthening heart muscle contractions, it has other benefits too. It can be very helpful, when it comes to avoiding sun burn, especially if combined with carotenoids. If you suffer from several heart conditions such as high blood pressure and arrhythmia, as I did, then you may consider about taking few of these heart disease herbs, together. In this case, buying heart tonic formula that contains couple of these herbs, would be a cheaper option than buying each herb separately. On the other hand, if you want to get the most from herbs for the heart or other supplements, then maybe my experience may help you. Its not just what you take but it is also how and when you take it as well as how often do you take it? While all these heart herbs may help treat heart disease, healthy diet should be foundation of your health. After you have established healthy eating habits, you can think about buying some of these heart healthy herbs. 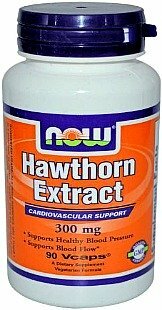 From all the herbs mentioned above, hawthorn has shown to be very effective for people suffering from heart disease. However, garlic, cayenne and ginkgo have their unique qualities, too. Besides hawthorn, I would also emphasize the importance of adaptogens which help me a lot since my heart condition was mostly caused by hormonal imbalance. Also, forskolin can be helpful, too. Whether you take just one of these herbs for the heart or couple of them together, you should consult your doctor, before use.